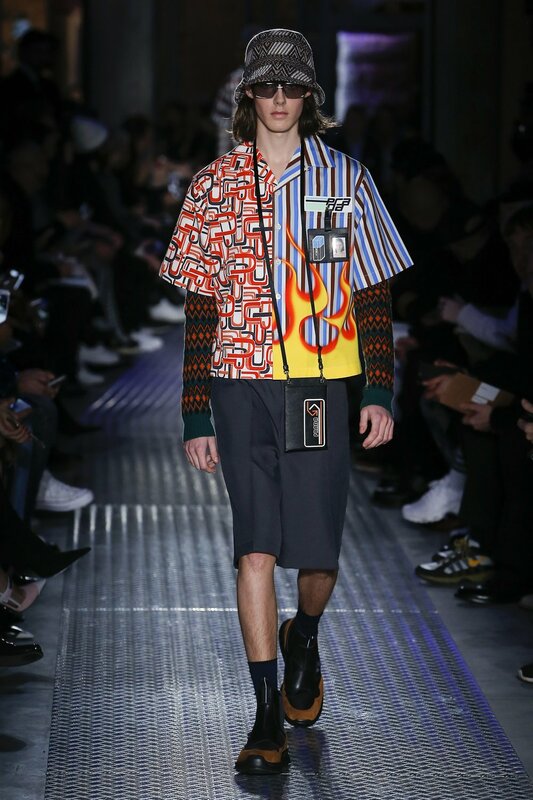 European menswear month has run its course and now we’re left to stare at the ripples in the proverbial pond while Paris Couture week stomps by. 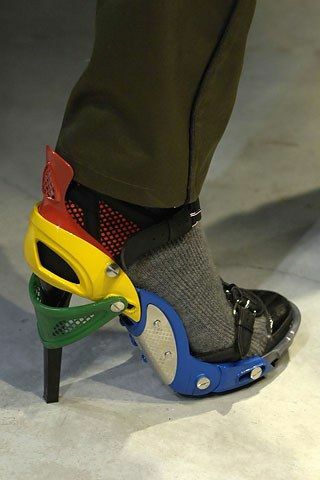 The season is AW18 (remember those Balenciaga “Meccano” heels? That was AW07. Weep gently along with me at time flying by, child) and the highly peculiar year that was 2017 seems to have ushered in a shift from the more reactive work of 2016 to collections that are dead set on being skill-oriented. Though news of the umpteenth designer reshuffle (Hedi Céline – cue faux outrage) dominated most coverage, don't miss out on a few highlights for the upcoming season. I mean! 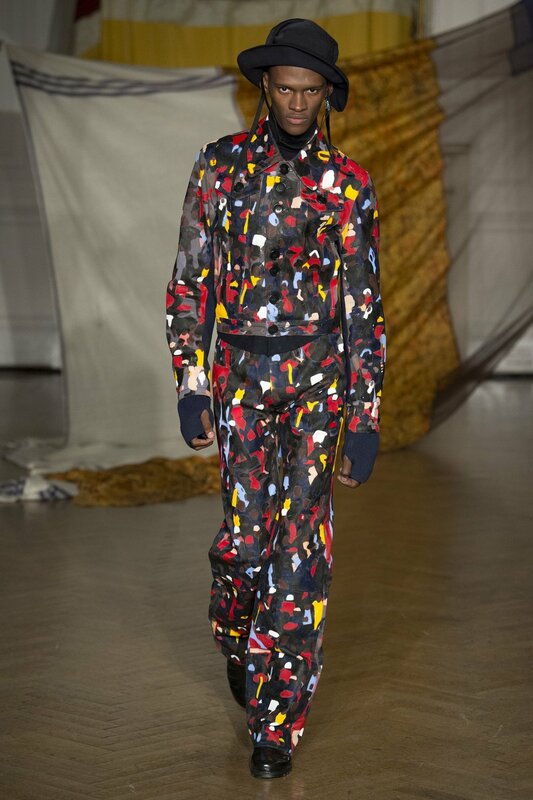 There are a great many thoughts to be had about this collection, so for the KNOTORYUS review of the thrilling Walter Van Beirendonck AW18 show go here. I’m positive this grin and blush will fade at some point. 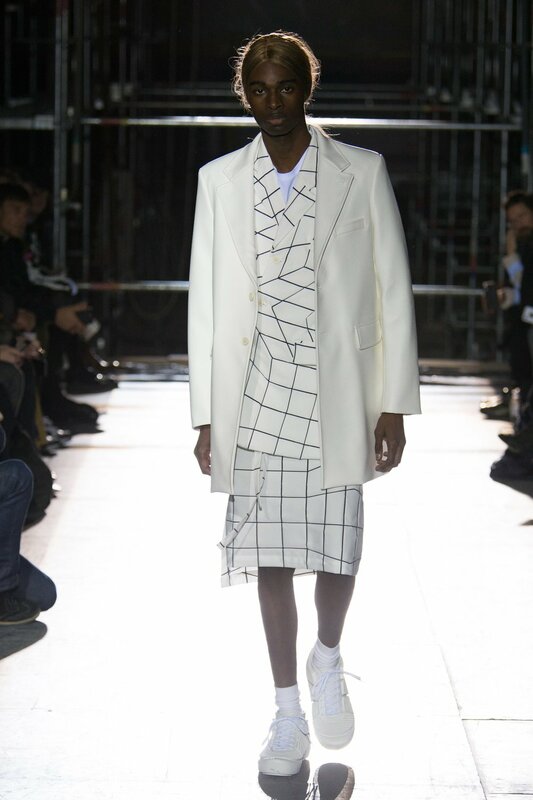 Kris Van Assche took the iconic Dior Bar suit and nipped at his menswear till the slightest curves appeared, reinterpreting the Dior Homme suit once more and making it more agender in the process. 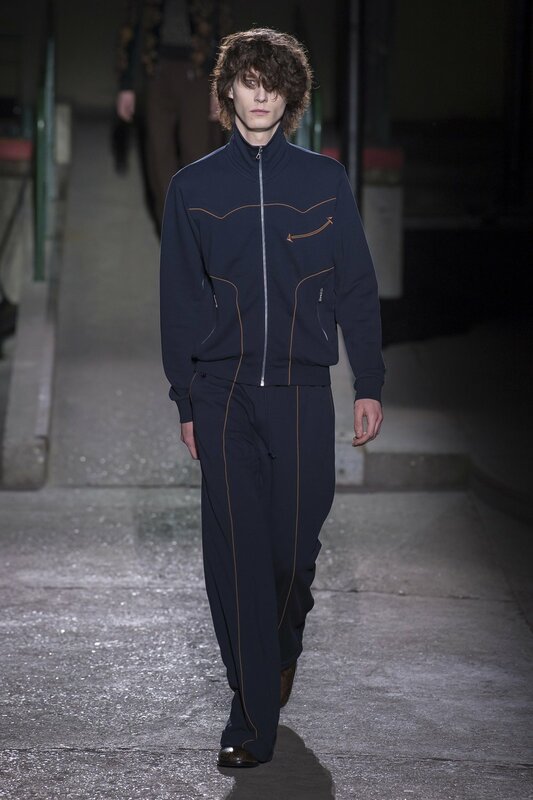 The Kris Dior legacy will truly be dominated by the myriad ways the designer turned men’s tailoring into an art form. 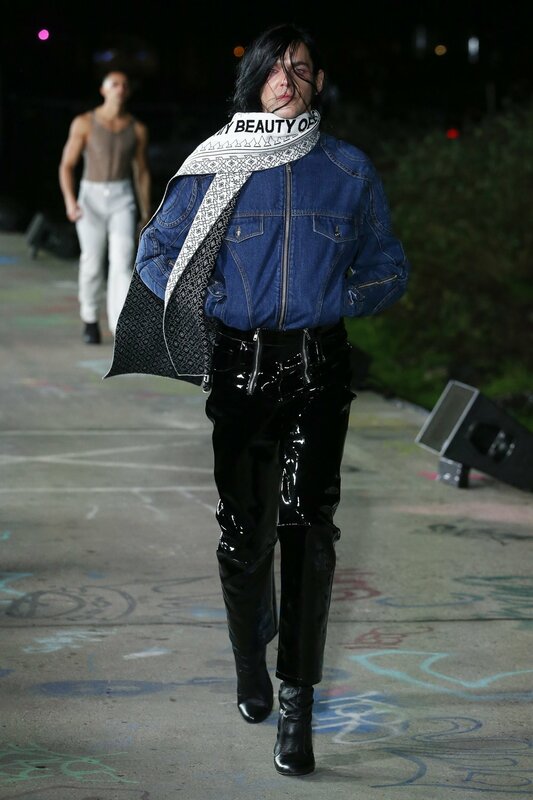 Great denim moments met rave culture - ever-inspiring to Van Assche - and found its symbolism in many iterations of tribal tattoo prints and accessories, a revival recently spurred on by brands such as Barragán. Though the mammoth collaborative Uggs drew most of the clicks and eyeballs, the technical prowess of Y/Project’s Glenn Martens notably extended beyond the brand’s now staple hyper-bulk. 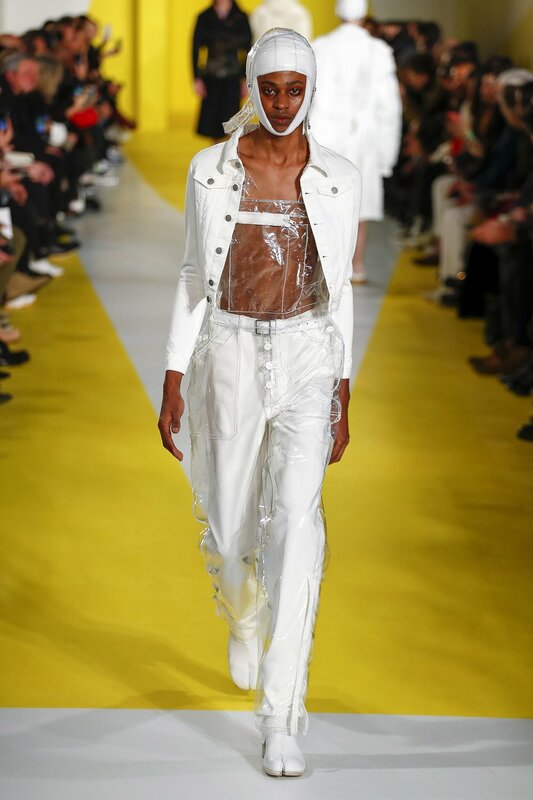 Suits subtly cut to perfection, illusion draping (no one does a mock-cape better than Martens) and luxe leather looks gave the whole a fresh gloss for the coming seasons. 'Stay the course but keep refining' seems a fine motto to uphold. 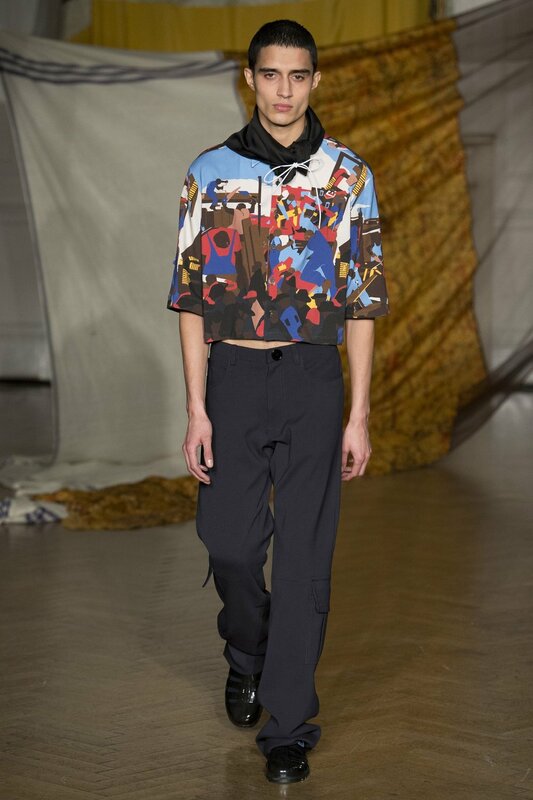 For the first time ever, John Galliano forayed into Maison Margiela menswear and that alone is a moment. Manifestations in the couture god’s never-dormant mind produced a novel men’s glamour, stretching from timelessly tailored undone silhouettes to on-trend laser precision streetwear ensembles (the newly-introduced “Security” sneaker is sure to soar). Though the models did not look too chipper, the clothing was a big “Hello! I like this!” from the elated master, emanating through each transparent plastic panel get-up. Haider Ackermann is one of the most true luxury creators out there and his eponymous label is royally generous season after season. Unsurprisingly, Ackermann’s hand corresponds seamlessly with his position at Berluti. The absolute sumptuousness and savoir-faire is quite remarkable. Leather suits have been done many a time, but this blend of cut, colour (those powder blue trousers) and craftsmanship is beyond par. 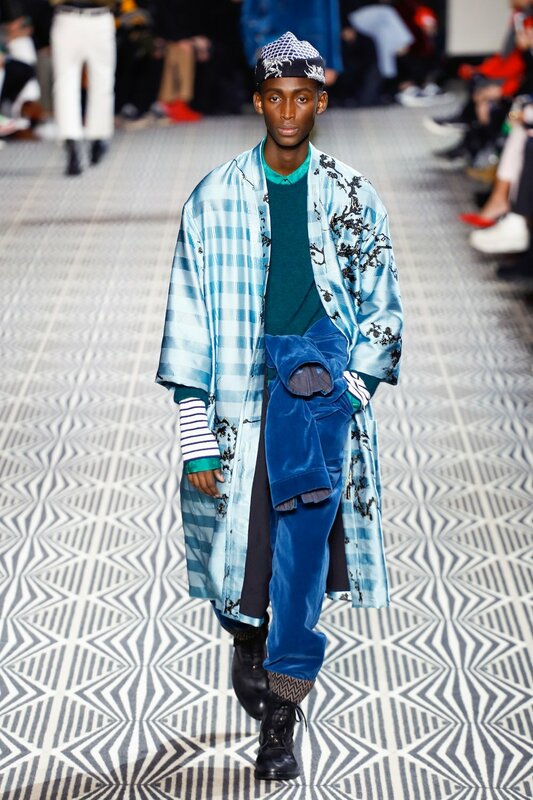 Outerwear ruled at Dries Van Noten, whether it was hand-embroidered in India as DVN tradition dictates, fluid with a crocheted trim or oversized and tailored with covetable accessories from cross-body camera bags to imitation snake-skin boots peering out from broderie anglaise trousers. If there was a stern quality emanating from the location, the old sorting office of the French Post and Customs and Excise, it was attenuated by the bright finale of technical rain parkas splashed with digital renditions of a traditional English paper marbling technique. Naomi and Kate in glossy Louis Vuitton logo trenches and steel-toed hiking boots closing the last Kim Jones menswear show, it doesn’t really get more fashion-y than that. It was high-tech and outdoorsy but fully catered to the metropolitan outings these clothes will undoubtedly only get to experience. A memorable adieu. For the full-lookback at Kim Jones’ LV times, go here. 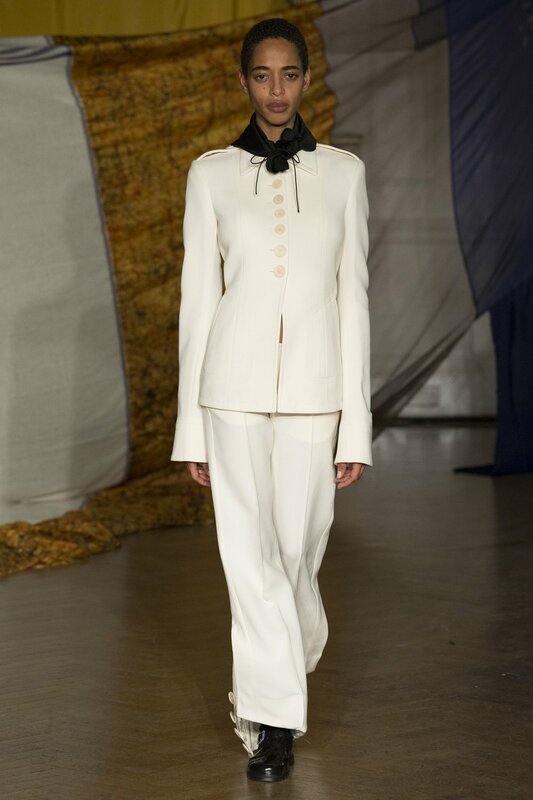 Poetry is at the core of the Ann Demeulemeester narrative and this collection mired in the work of fabled poet and artist William Blake certainly does not stray from the story. Wildly romantic, the winged words of William "Exuberance is beauty" Blake were present in every floating velvet sash, bared chest, shearling long coat, signature boot or fringed tassel belt. Deemed the most diverse show of menswear month, this is the collection to propel Berlin label GmbH to new reaches. “My Beauty Offends You” flexes a literal safeguarding reaction to the feeling of being politically ‘othered’ - continuing on from their SS18 campaign story starring second-generation immigrants only. 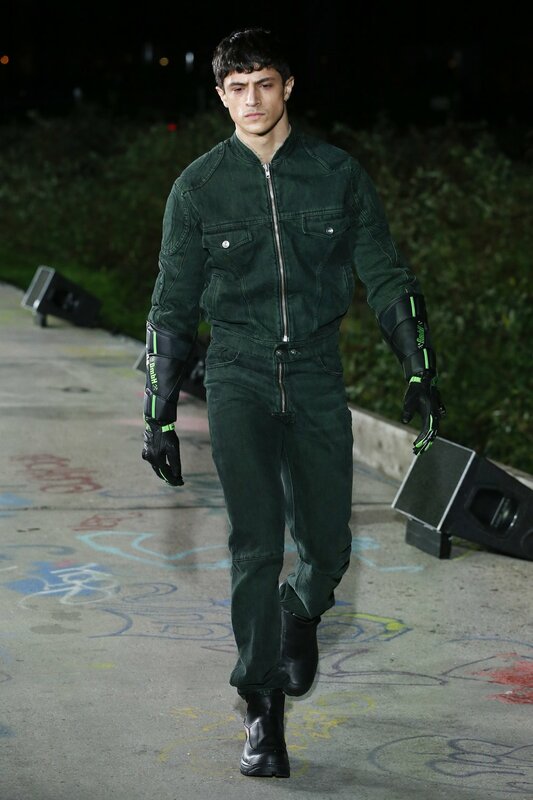 The protective theme shone forth in motorcycle gear references, warm fleece, coat-of-arm embroidery and tough denim (in the best moss green colouring). When you know you’re iconic, you can truly afford to self-reference. 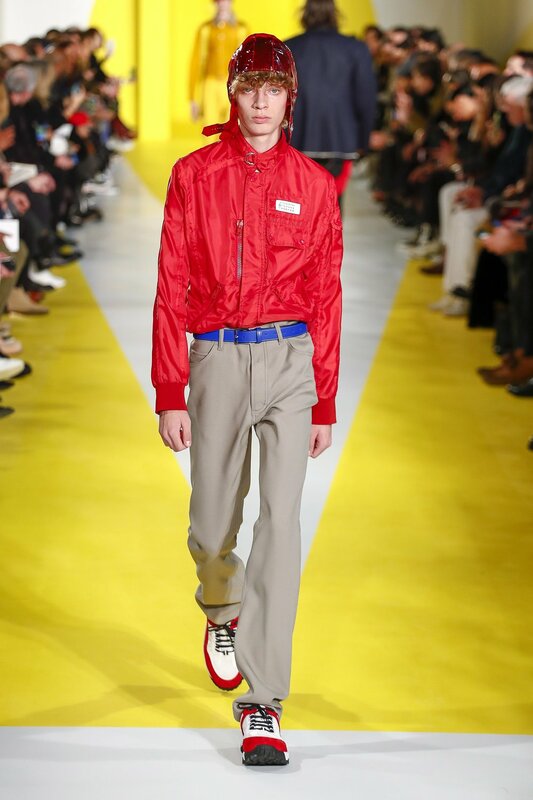 Reworking prints from past collections into menswear hybrids, bringing back the 90s Prada Linea Rossa-mania and padded Pocone fabric, Prada's recent history was back in prime position for AW18 and it excited just as much as the first time around. Master Miuccia at work. Dinosaur skeleton masks by fabric artist Shimoda Masakatsu and Superman cartoon prints gave the latest from Comme a twisted jejune feel, which in the words of Rei Kawakubo represent “White Shock, the punk inside”. 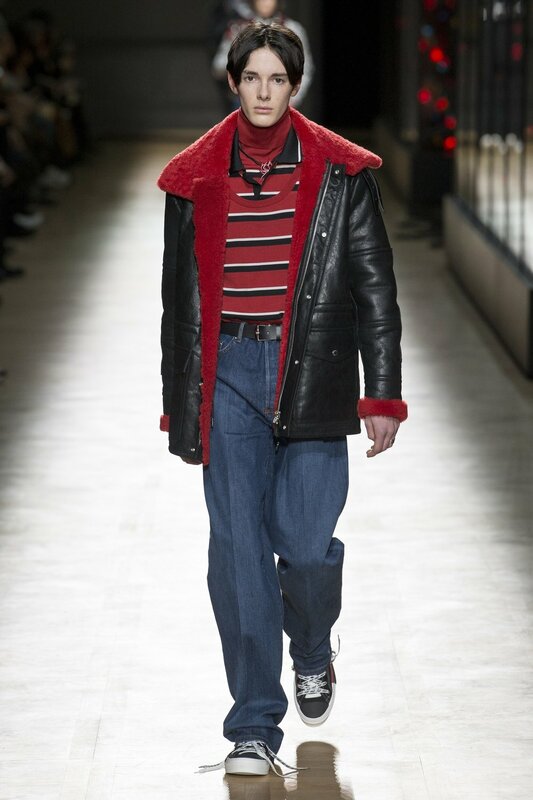 Own-lane fare, as usual, but I was also pleasantly observant of this season’s diverse - for Comme – casting. Can you be a seasoned pro after literally four seasons? It appears so. 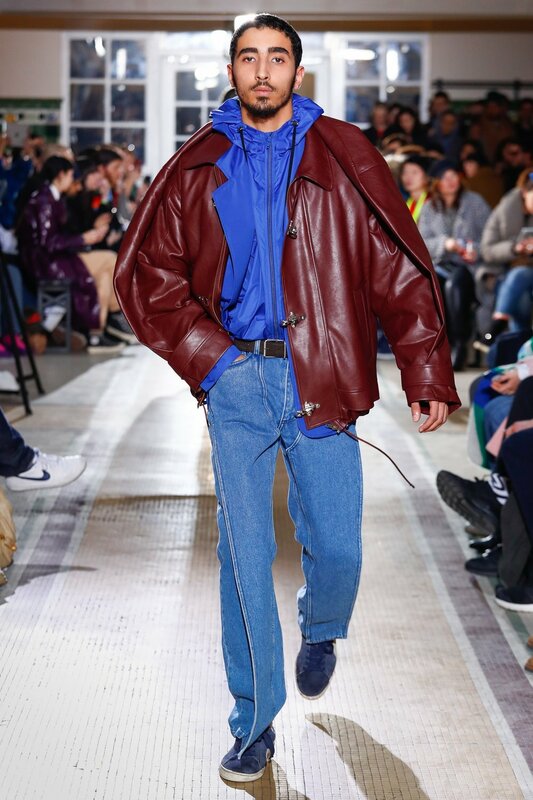 Grace Wales Bonner’s AW18 creole sailor collection was an exercise in restraint and skill. Achingly well-cut, her ever-inspired vision for black men and women’s bodies (a first women's capsule has just been announced for June) flatters and envelops like no other. Technical jackets referencing the work of American painter Jacob Lawrence rounded out navel-bearing and traditionally gender non-plussed looks in another mainstay collection. 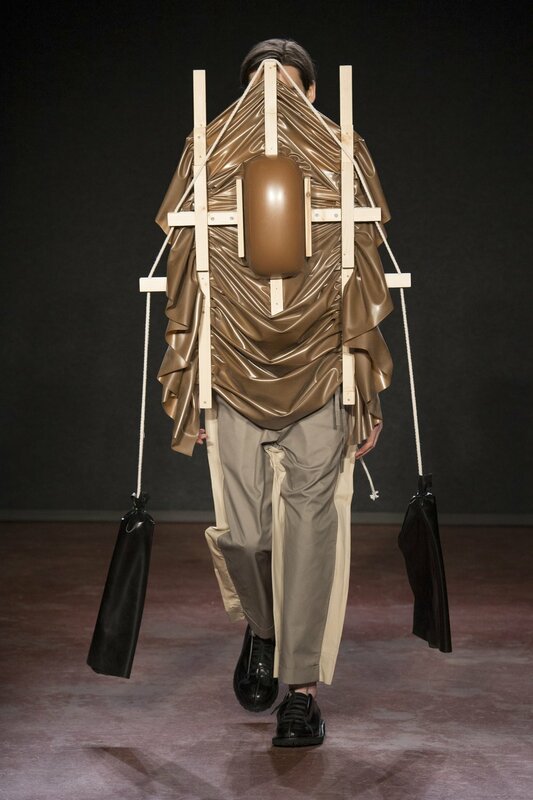 Craig Green is a new original, whose path from Walter Van Beirendonck intern to award-winning celebrity favourite (Rih wears it best) is shocking to no one who has been up close to his designs. Working from specific inspirations that are often inexplicable, the technicality and care is apparent to all. 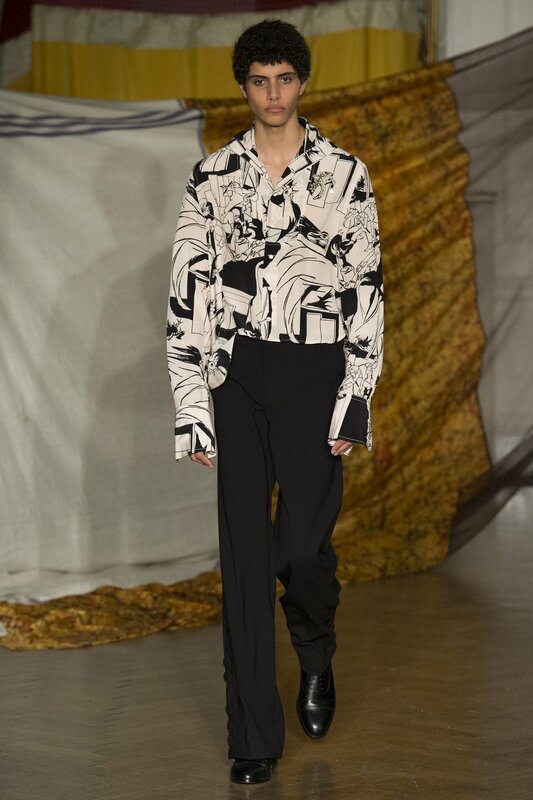 For AW18, Green zigzagged flawlessly between the sharpness and architectural and military precision of an engineer (those shirt ‘fins’ are sublime) and zany fantasy like those tent-like machinations seemingly thought up by a five year-old Da Vinci. 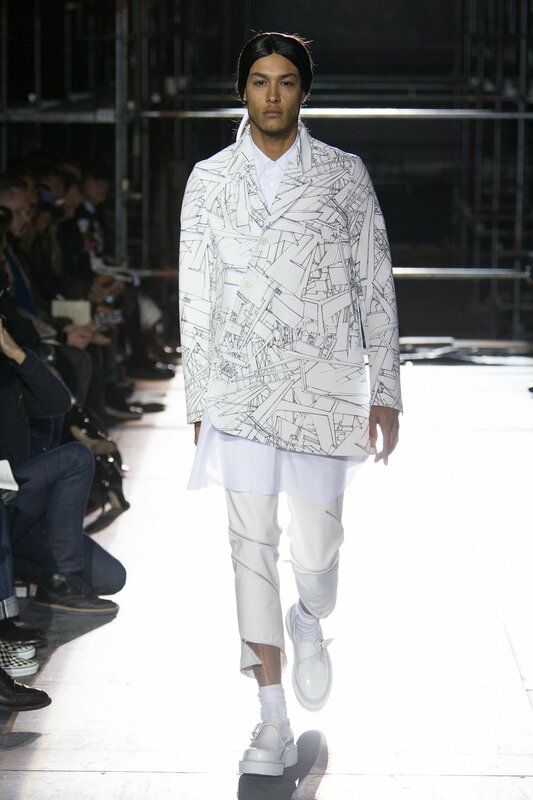 Next up: New York Fashion Week Men's (starting February 5).